In a pair of recent posts, I argued that BYU’s planned campus redesign is flawed at best. 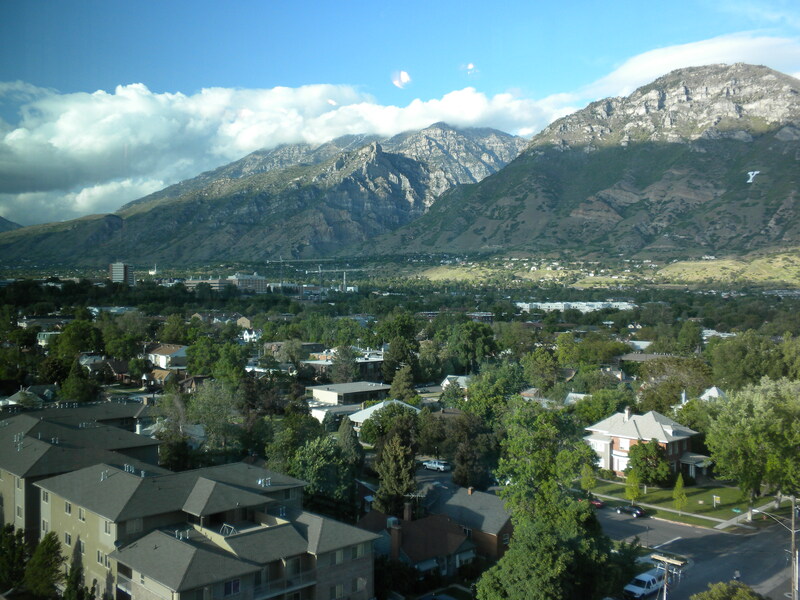 Though I don’t doubt that it’ll be pretty in the vague, office-park way that most of BYU is pretty, I seriously question its positive impacts on Provo generally. The best case scenario, I think, is that we don’t notice much of a difference. But a redesign that makes Campus Drive — currently slated for closure — more pedestrian friendly could be a fantistic and successful project. To get there, however, it would need to be based not on a suburban grass-plus-parking lots model, but on a multi-modal one. I’m thinking of streets in Paris or Rome; they generally allow cars but under conditions that make walking safe and appealing. 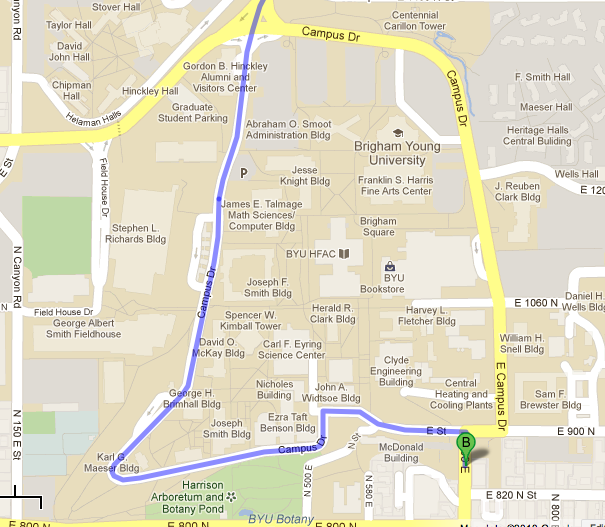 But BYU doesn’t have to look to Europe for an example; west Campus Drive is already what I’m talking about. This part of Campus Drive is slated for closure. However, this part of Campus Drive is not part of the upcoming redesign. The west half of Campus Drive winds slowly around the south and west sides of campus. It includes only two lanes — one in each direction — and is shaded by old buildings with shallow set backs and big trees. Cars typically drive slowly and pedestrians cross at will. * It’s not perfect, but it’s much closer to being perfect than either the eastern section of the same street, or the proposed redesign. 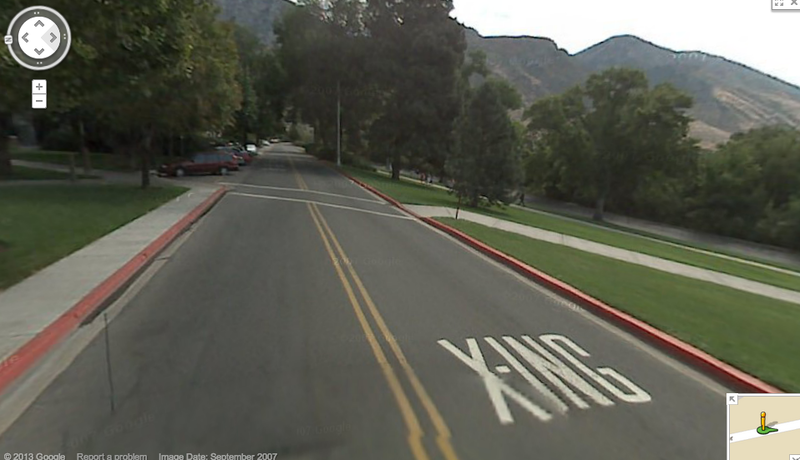 A section of Campus Drive on the west side of BYU. This image is from the south side of campus and coincidentally shows how angled parking can be used on a non-commerial street. I’m not sure why there are neither cars nor people in these pictures. My guess is they were taken when school was out. The point is that it’s not necessarily encouraging or inviting to drivers, but it’s not impenetrable either. East Campus Drive, however, is going from one extreme to another. It’s currently a big, fast street but will soon cease to be a route at all for cars. As I’ve said before, BYU’s campus redesign is not terrible. (This is an example of terrible news.) It’s just disappointing to see what are clearly good intentions being squandered on something that could easily be better. And as one of BYU’s own streets demonstrates, there are ways to make streets safe and useable for everyone no matter what their mode of transportation. *The last time I tried to drive on west Campus Drive it was closed for construction. The closure didn’t look permanent, but if it is I would be disappointed. And in any case, the point I’m making is based on the historical state of west Campus Drive, not any future state. In my second post on BYU’s upcoming campus redesign, I mentioned almost as an after thought that closing streets leads to more driving. According to Google Maps, this route is 0.9 miles long and takes three minutes. 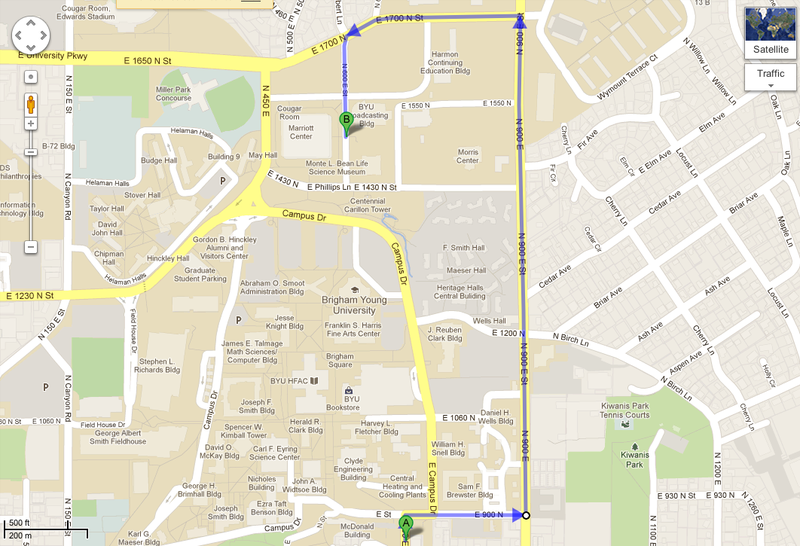 After Campus Drive closes, however, drivers will be forced to chose from other, longer options. This route is 1.3 miles long and takes 5 minutes. This one — which will probably be the most commonly used alternative — is 1.4 miles and also takes 5 minutes. Though the start and end points will vary, this problem will arise for anyone traveling from these regions of the city. Even if I’m going from, say, Memorial Park to somewhere on the northwest side of campus, the redesign offers fewer options that require slightly more driving. In other words, closing this street produces a net increase in the number of car miles traveled. That wouldn’t be the case if demand for car routes was significantly declining; the longer distances would be offset by fewer car trips. But I haven’t seen any evidence that car traffic is actually decreasing on Campus Drive, nor has BYU suggested that that was a factor in its plans. Campus Drive. This area is slated to become a pedestrian only space. That may be nice for this one spot, but cars will be forced to drive longer distances to circumnavigate it. Closing streets might also make sense if demand for pedestrian space increased beyond supply to the point that cars and people were in immediate conflict. Times Square comes to mind as an example of that scenario, as do a number of European plazas. 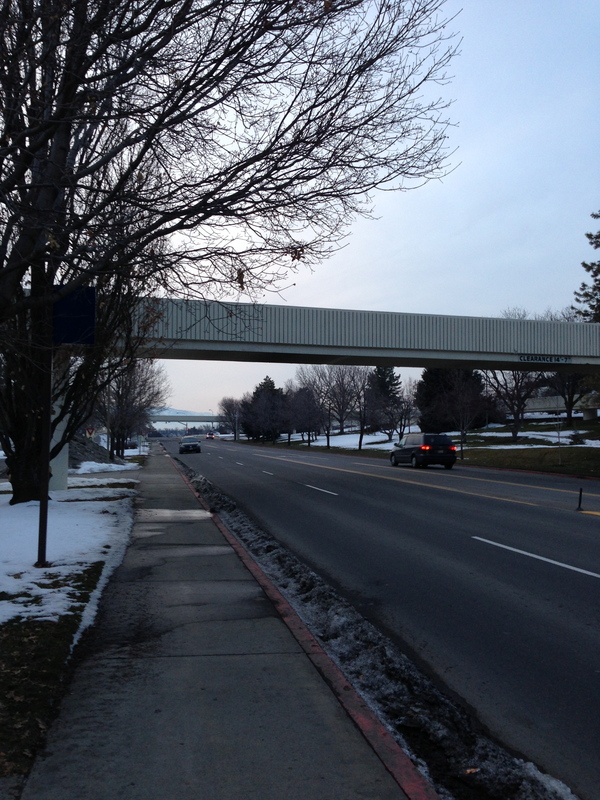 But as I argued last week, supply for pedestrian space on BYU campus is likely oversupplied right now. In any case, the point is that diverting constant levels of traffic onto fewer streets doesn’t really improve overall pedestrian conditions because it produces more driving. 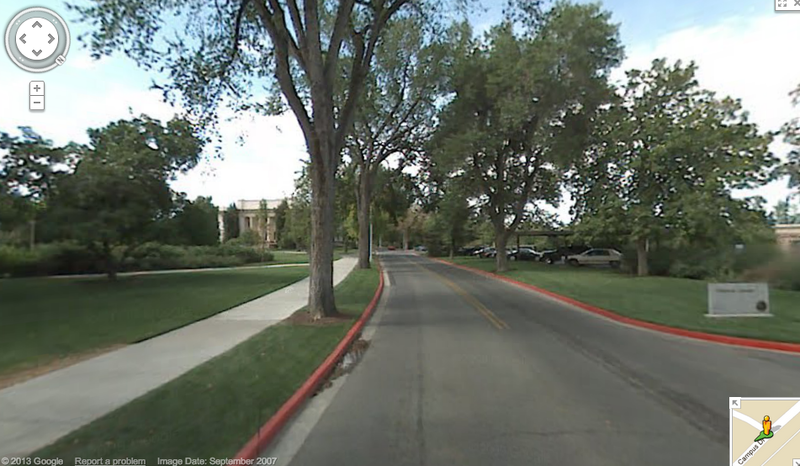 Sure, one little slice of BYU campus might be prettier or easier to walk on, but 9th East, 8th North and other streets will likely be less pedestrian-friendly. I call that an overall failure. In the past, I’ve argued that we need small blocks with a lot of little routes. It’s an idea championed by people going all the way back to Jane Jacobs and others. I’ve mostly focused on pedestrian routes in these posts because it’s easier to cut a pathway through a block than it is to carve an actual street. But if we’re going to have cars — and be pragmatists — we need something similar for drivers. After all, forcing more cars onto bigger, faster stroads is what makes so much of our cities awful in the first place. This idea apparently is obvious to some people, as I’ve seen a fair amount of complaining online about potential increases in traffic on streets surrounding BYU. So what should we do instead of closing streets? Rather than completely close this road, why not just make it narrower? The best option I can think of — short of simply outlawing cars — is to reduce the size and speed of streets while still keeping them open. So, rather than plant grass over Campus Drive, cut it down from five lanes to two (one in each direction). That keeps it available to cars, while also freeing up land for development. It also would slow down cars and be inherently more pedestrian friendly. And as I’ve expressed before, narrower streets are really fantastic. In this case it’s probably too late to suggest changes. But the idea that closing streets to cars can actually make a place less pedestrian friendly is an important one to remember; many people in Provo and elsewhere, after all, favor making all of downtown pedestrian-only. 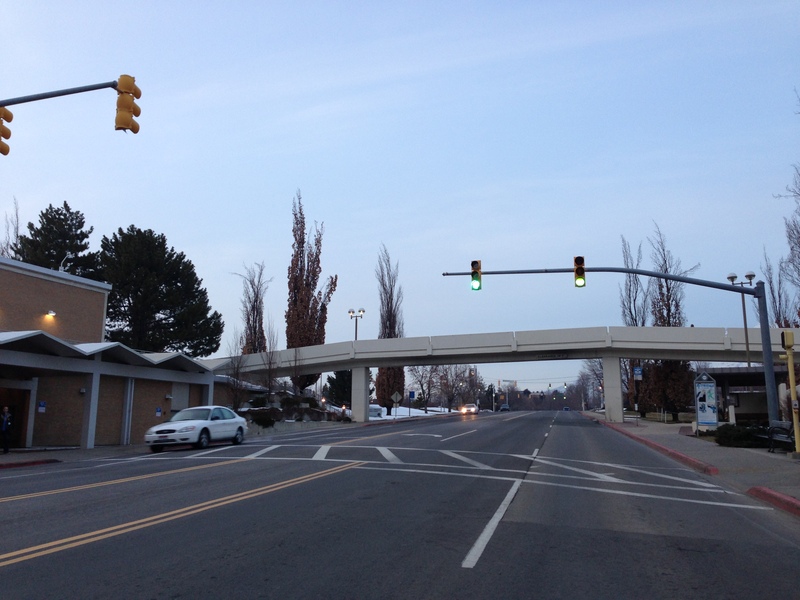 Though that idea seems wonderful, the supply and demand conditions are even less favorable for it than they are for BYU’s new pedestrian project. 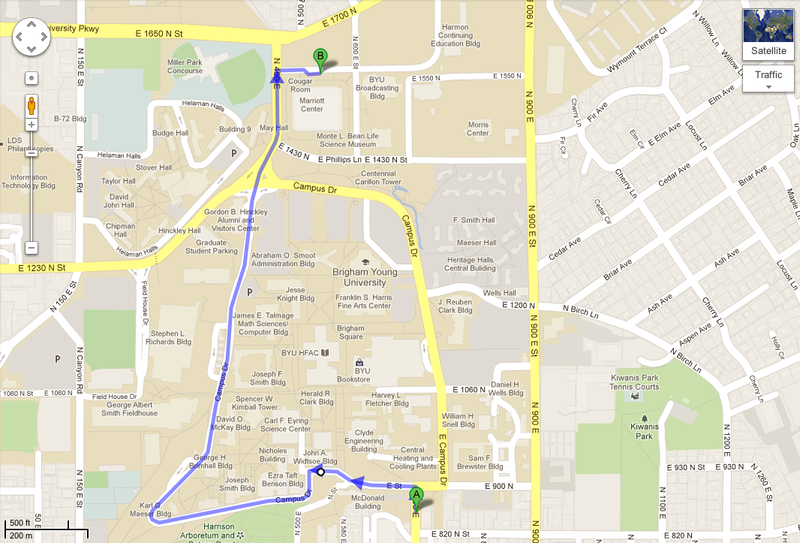 Campus Drive is destined for closure. Ultimately, I look forward to the day when we have no more cars. I wish every street was a pedestrian-only zone. And we definitely need to make our cities easier for people to experience on foot. But as long as we have some cars driving, the best practical solution I can think of is to try to reduce the miles they travel, slow them down, and keep their concentrations relatively low. Permanently shutting down streets accomplishes the opposite. In my last post, I argued that BYU’s Campus Unification Project isn’t a big improvement over what the school currently has. That doesn’t mean it’s without merit. I also realize that the project is designed to unify campus — not improve transit access or foster smart growth — but it’s still discouraging to see the school come so close to doing something great but still not quite get there. 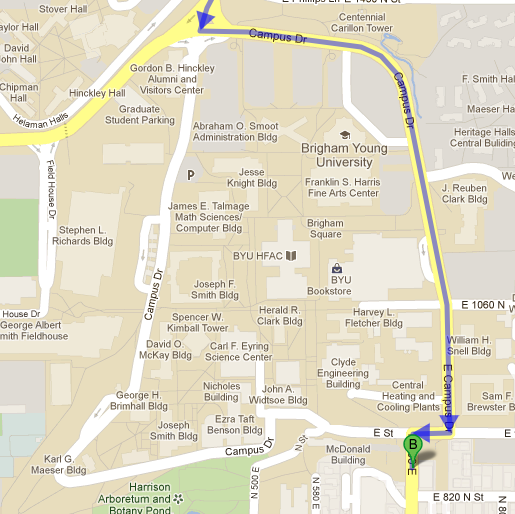 In any case, here are a few things BYU could do if it really wanted to foster a “pedestrian” environment. 1. Stop offering free parking. When I started at BYU, on-campus parking permits cost money. A few years later, however, BYU started giving them away to any student who registered. It didn’t make sense at the time and it doesn’t make sense now. As is widely accepted, parking — especially free parking — creates more demand for parking. In other words, if you give away parking you effectively create more drivers. Everyone in Provo is eventually going to have to accept that to cut the number of cars we’ll have to reduce parking first. Hoping the cars will go away while we continue to provide free parking is just insanity. And as I hinted earlier today, leaving all the parking lots around campus like an asphalt mote basically renders the redesign meaningless. 2. Subsidize transit passes. Also while I was a student BYU briefly experimented with giving students free transit passes. The school cancelled the program in order to give away free parking (yes, you read that correctly), but it’s not too late to fix the mistakes of the past. 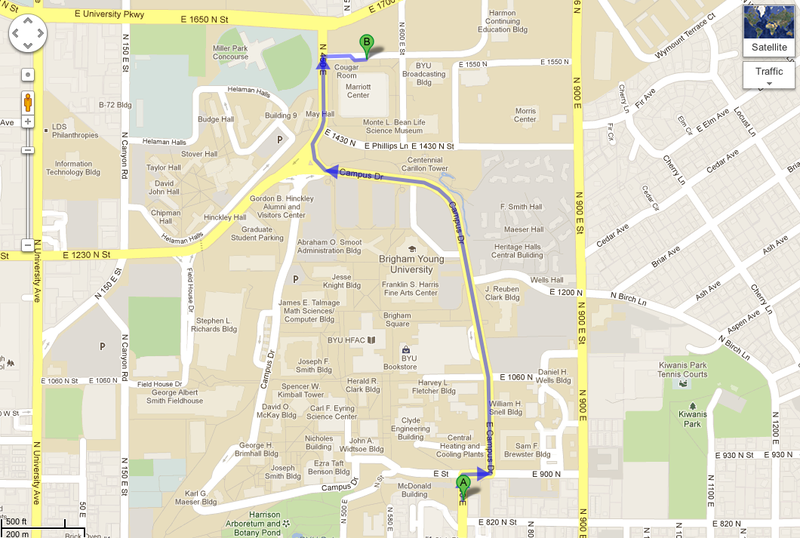 If BYU really wants to make its campus better it should make it easier for students to use public transit. Moreover, many other schools offer heavily subsidized transit passes. 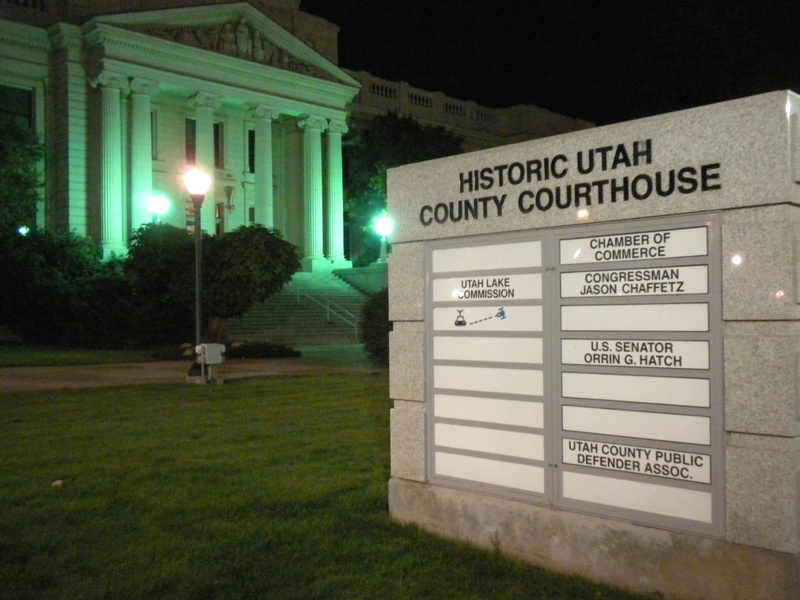 The University of Utah, for example, requires students to purchase a relatively cheap pass as part of their student fees. I’ve never met an alum of that school who begrudged the fee. It also proves that it can be done and that in this regard BYU chooses to behave irresponsibly. 3. Create a more robust bike infrastructure. BYU is bikeable in the sense that it has a lot of big open paved spaces combine with some bike racks. Apparently there is also a bike share program, though I hadn’t heard of it until two days ago. But there is little to no dedicated bike infrastructure on campus beyond racks. BYU also hasn’t historically been deeply involved with Provo’s efforts to become more bikeable (though that may be changing, I’m not sure). 4. Loosen the grip on student housing. BYU creates an artificial housing market that hurts everyone in the city by tightly controlling where students may live. In theory, the rules protect students though in reality they simply drive rents up or down — depending on location — and create an effective student quarter that is the source of great conflict in the Joaquin neighborhood. “BYU approved housing” south of campus. BYU’s weird housing rules have a toxic effect on the housing market. Adopting a market-oriented approach to student housing — where BYU lets supply and demand determine rents, student distribution, etc. — would disperse students more evenly in the city, not to mention give them more choice. That would positively impact downtown Provo, create more competitive rents, and take the edge off the student-townie conflicts (i.e. “students should live in north Joaquin, families in south Joaquin” etc.) that frankly have almost exhausted my hope that Provo is moving toward greatness. In any case, the collateral benefit of having more even student distribution is that there would be more even use of infrastructure across the city. Sprinkling a few thousand 20-somethings across south Maeser and/or Franklin, for example, would help justify more sidewalks, bike lanes, and bus routes in those areas. As it is, however, the people most likely to take transit, bike, and patronize local cultural offerings are clustered in a ghetto where those things either don’t exist or are unnecessary. Ultimately in my ideal world BYU would have only handicapped parking (maybe a few dozen total stalls), it wouldn’t have a housing office at all (free the market! ), and Provo residents would stop thinking of astonishingly well-behaved students as “them” or the enemy. Those goals are perhaps unrealistic, but the upcoming redesign does little to nothing to actually improve transit and walkability on campus or in Provo. Indeed it seems like the people behind the redesign went to a nice place, looked at the trappings of that place, and tried to copy it without ever considering supply and demand or how one space interacts with another. BYU’s campus may be improved by it but if the school really wants to create better spaces it needs to look critically at the underlying issues that shape those spaces. 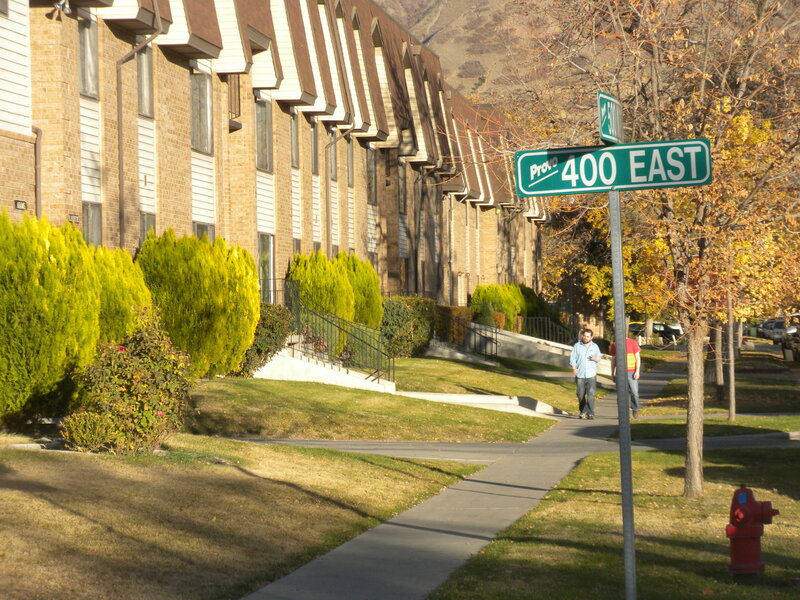 A street on the south end of BYU campus. This isn’t the street slated for closure. However, I’d be against closing either of the streets to cars until Provo is significantly less car centric. 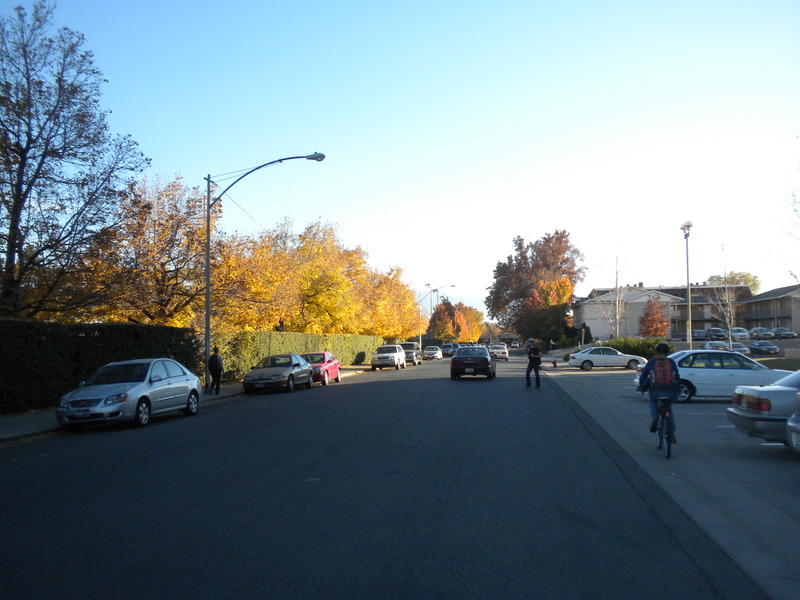 Right now, shutting these relatively small, slow streets (notice the bikes and pedestrians in this picture) forces more cars onto arterials and turns BYU into a huge black hole that drivers must navigate around. In other words, as a result of the redesign people driving north-south have to go around BYU campus, meaning there is actually going to me more total driving in Provo. Over the last several days I’ve been asked a few times what I think of BYU’s new “Campus Unification Plan.” According to my former colleague Genelle Pugmire the plan is a “three-phase redesign of the north and east sides of campus that will eventually include closing Campus Drive and turning the area into a walking plaza for students.” An article on KSL and a post on the mayor’s blog further explain the project. 1. BYU evidently met with neighborhood and city leaders about this plan. I’ve accused BYU of being a bad neighbor in the past, but it’s apparently starting to integrate into the community. That’s a significant positive development for which BYU deserves to be praised. 2. BYU is apparently doing both bike and car sharing programs. I don’t know much about them, but if true that’s commendable. 4. It’s also worth mentioning that any time car infrastructure is replaced with pedestrian space we’re probably moving in the right direction. Though I have some complaints about the project and BYU’s priorities, they are trying, which is good. In the end, while this project isn’t perfect, it’s also not a crap alert either. Now on to the criticism. 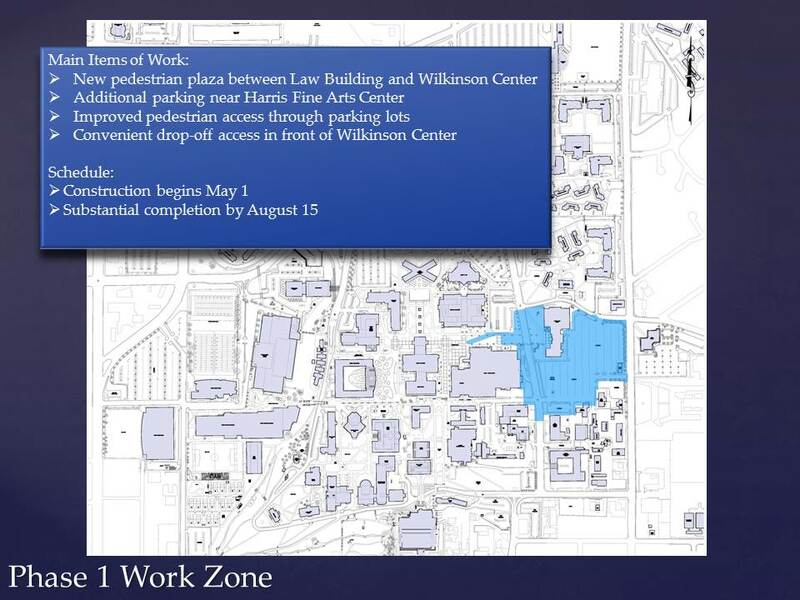 First, let’s talk about “green space,” which BYU has stated it hopes to increase with this project. Green space is an easy sell in most cases because it sounds nice, but what is it exactly? It’s not a park, or a yard. It’s not a building. It’s not really anything at all, actually; it’s just filler. Green space is a new invention. What’s it for? Green Space was invented to make our other Non-Places less horrible. It basically doesn’t exist in the Traditional City. The point is that “green space” is a useless area where there is no human interaction. People do use the green spaces at BYU. They walk through them, lay on them when the weather is nice, play frisbee, etc. But as I’ve studied the renderings of this project I struggle to see any significant additions designed to foster human interaction. What I see instead are a few parking lots that are lined with a little bit more grass and a few more trees. In other words, slightly less horrible spaces. The area around the Law Library (to the left of the large parking lot on the right) is perhaps the best example. According to the picture, several new lawns spaces have been created near the building. However, in many cases they’re still wedged between parking lots. And in the end, who wants to hang out on a strip of grass next to a parking lot? It’s also worth considering these changes in terms of supply and demand. In the past, for example, was “green space” undersupplied on BYU campus? Was every square inch covered by modest sunbathers? Did the medieval club really have no where to put their tents? I’d argue that open space is actually oversupplied on BYU campus. After all, when was the last time the grass between the library and the administration building was completely full? How about the grass near the Maeser Building? Or the lawn on the south hills? 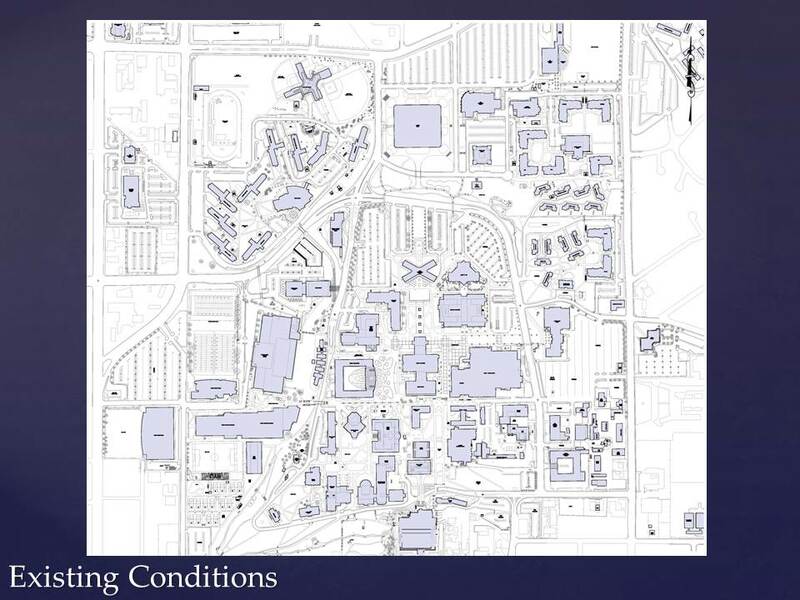 Ultimately then, this redesign adds to BYU’s already flawed design; with its highly partitioned spaces — areas for living, learning, working, etc. are all separated by vast expanses — BYU operates under a similar philosophy as a suburban office park. It’s not unique in that sense — many people have criticized “Radiant City”-style college campuses — but that doesn’t make it any less of a problem. (Oxford offers just one possible alternative type of campus.) I also wonder who will be using the new pedestrian spaces on the east side of campus, as no major housing centers or classrooms are located directly to the east. At the same time, this new project reduces the supply of streets in the face of constant demand. That doesn’t really make sense. Anyone who has read this blog knows that I generally hate car-oriented development, but I’m not sure that’s what Campus Drive really is. 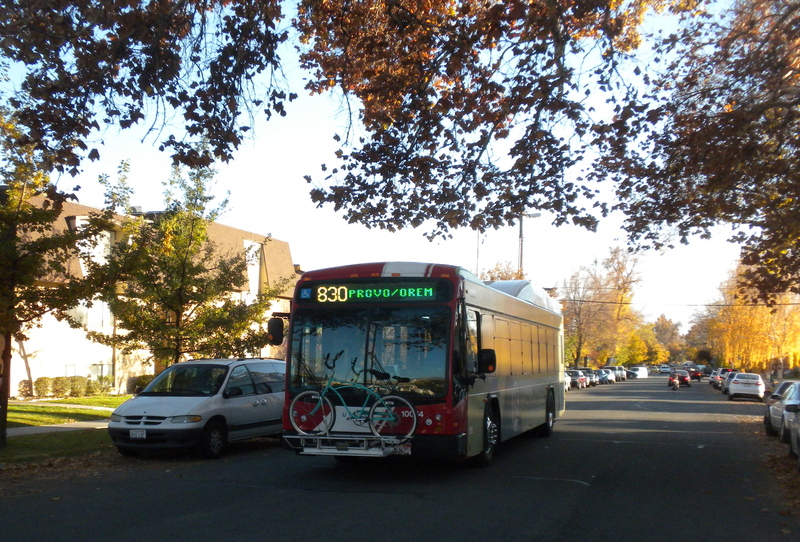 After all, buses also use the street but in the future they’ll be pushed further from the center of campus. The street wasn’t great for bikes before, but neither is a pedestrian space where riding is illegal between classes. Safety for cyclists may increase, but convenience — which is also vital for getting people to actually bike — may decrease. I’ve also argued that we need frequent, small streets instead of big arterials. The pedestrian benefits of that concept aren’t really an issue here, but if surrounding streets become stroads and car sewers we’ve created more problems than we’ve solved. Finally, the most disappointing part of this entire thing is that it leaves in place a whole bunch of big parking lots. As I’ve said previously on this blog, parking lots are underperforming, hostile environments that waste money and harm their surroundings. 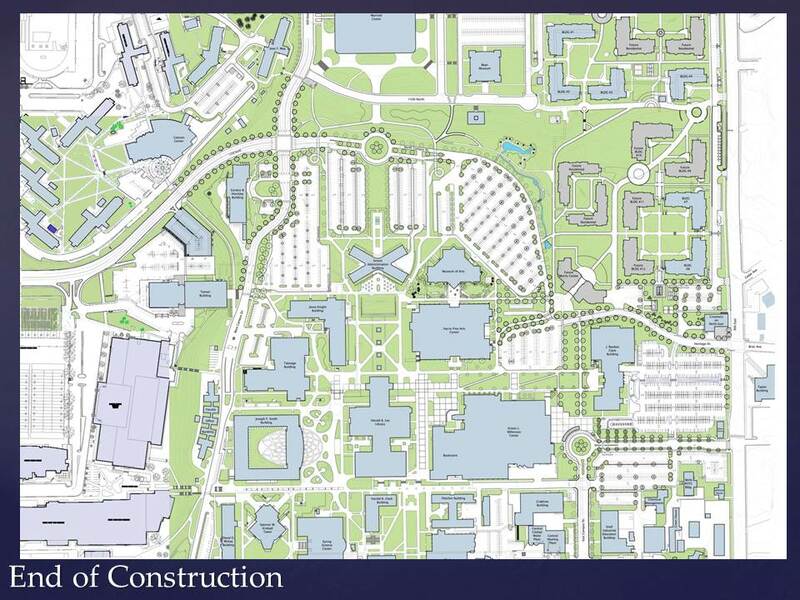 And as the picture above shows, the center of BYU campus will continue to be surrounded by them after this redesign. I could go on, but the point of this whole thing is that while this project seems great, the actual changes have questionable value. Check back later today for ideas on what BYU could have done if it really wanted to create a better, safer pedestrian environment. This image shows current conditions on BYU campus. The biggest change from the redesign is that a section of street will be closed. Much like Provo but on a larger scale, Boston exports recent college grads with highly developed skills. It’s a problem in both cities — with cost of living being a major factor in Boston — but unlike Provo, the New England metropolis is actively and laudably working to retain its young professionals. The initiative includes a program called Compact Neighborhoods that will encourage and create housing near workplaces, public transportation, and city and village centers, Patrick said. “Access to housing for our middle- and moderate-income families is an important component in the Commonwealth’s continued growth to retain and build our young and innovative workforce,” Patrick said in a statement. In response, Boston is offering financial incentives to communities that build the kind of housing that young professionals want and can afford. The Atlantic Cities’ Kaid Benfield offered additional information on those incentives, writing that communities must meet certain density and smart growth goals. This church is being converted to housing, which given it’s cost and location (and style) may ultimately appeal to young professionals. Provo needs to add a lot more housing for that demographic. 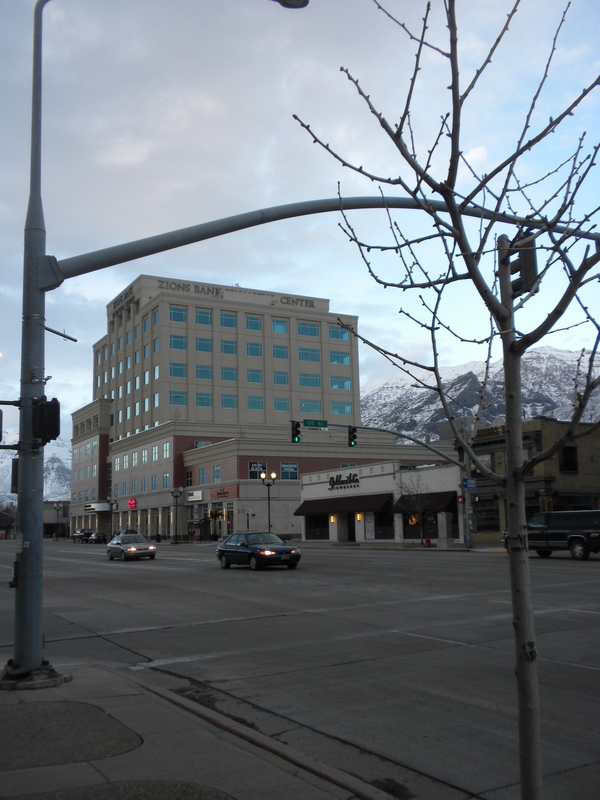 So why isn’t Provo doing more to retain its young population post graduation? BYU certainly presumes to have a global brand, but so do most of the major schools in Boston area. BYU also draws many people from other parts of the country, but again, so do many schools in Boston. The point is that economic conditions — cost of living, job opportunities, housing stock — do make a big difference in how many people are willing to stay in a metro area. And as I wrote last week, getting young professionals to stay is essential for long term economic success. Provo is working to add housing, but retention of new college grads doesn’t seem to be anyone’s explicit goal. In Boston it is, and they’ll likely have more success for it. It’s also worth mentioning that neither the Globe article nor the sources I cited last week mentioned anything about working with universities or institutions to somehow convince grads not to move away. BYU is notoriously hard to work with for anything, but thankfully that’s not much of a factor here. Instead, these sources suggest that incentivizing young people to call a city home is something that happens economically on a municipal and regional level. In other words, if BYU students don’t stay in Provo it’s because Provo itself isn’t offering them good reasons to do so. In this age of financial crisis it’s easy to look at any kind of government spending as a problem. However, a BYU professor recently discovered that in at least one area, spending money actually saves money. C. Arden Pope, a Brigham Young University economist, said that for every dollar spent on cutting air pollution there are around $10 in savings — because health care costs go down, premature deaths decrease and other measurable savings are realized. These findings are good news for quality of life and health advocates because they should help people understand the very real benefits of cutting pollution. Provo, Utah. Spending money to clean the air actually ends up saving money. These findings also demonstrate that sometimes the most fiscally responsible approach is the one that requires up front spending, rather than inaction or “smaller government.” Indeed this issue illustrates the way government investment is supposed to work: money is spent and then causes savings in the overall system, even if the exact dollar amount spent doesn’t end up right back in the same bank account it was drawn from. The point is that when evaluating a government decision it’s important to take a broad view. And in this case, that means spending a little on air quality to save a lot. 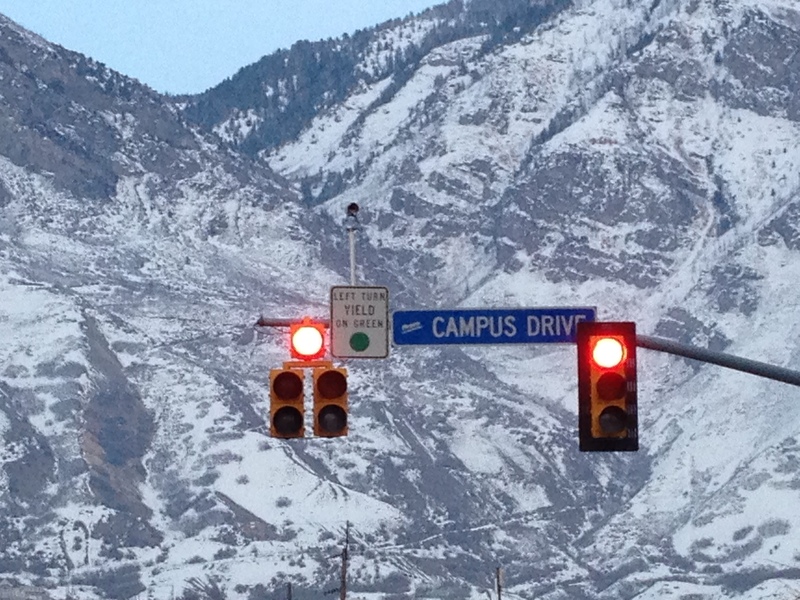 Winter inversions create terrible air quality in Provo. However, spending money to clean that air is just one example in which the fiscally responsible approach is to spend money, rather than do nothing. 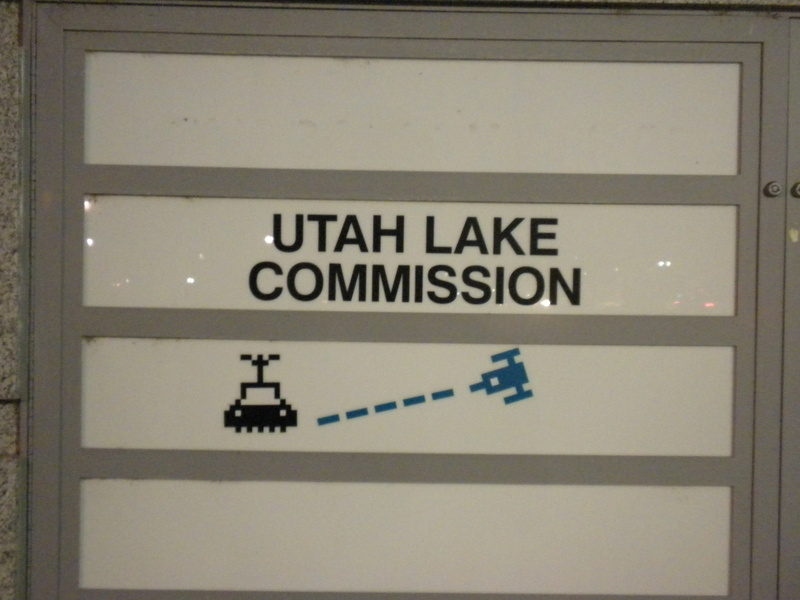 A piece of street art at the historic court house seems to have been inspired by Space Invaders, or possibly Invader. Close up of the Space Invaders art. While the pictures above were taken along University Ave, most of the art was clustered along Center Street. The picture below, for example, was taken outside Sora. 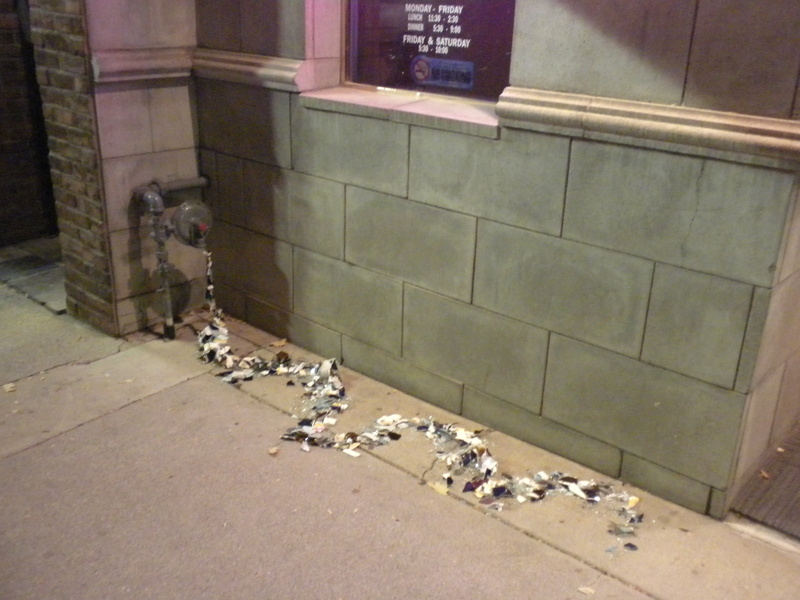 Shards of broken glass and ceramic appear to leak out of a pipe. 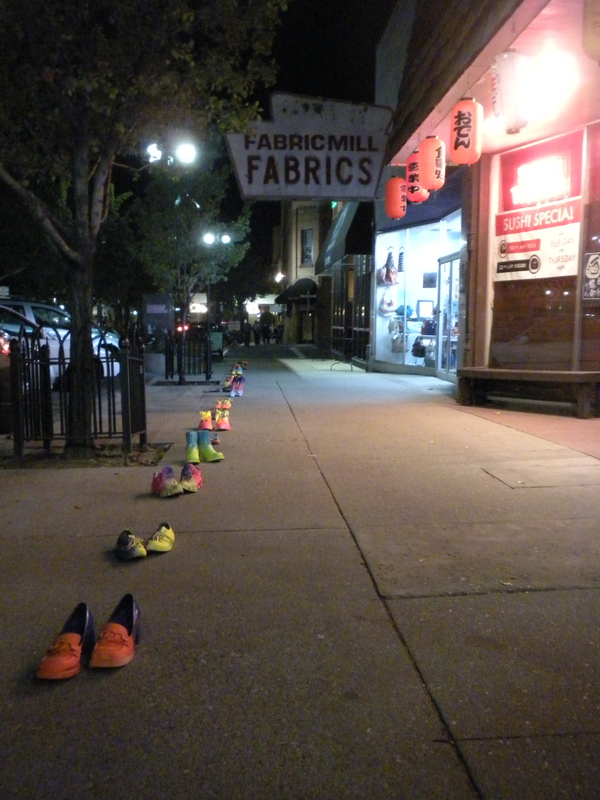 Shoes in a row along Center Street. These shoes remained on the sidewalk a bit longer than some of the other exhibits. If you’re interested, I wrote in July that street art can actually play an important role in making a city successful. In May, I also wrote about why street art is generally good for a city, despite debates over its legitimacy.